A 24/7 smoke-free taxi and shuttle service serving all of Central Oregon, Bend Cab Company and Shuttle Services is a local, family-owned business. Their vehicles offer a smoke and drug-free ride with plenty of leg room and space for your luggage. Available for either prescheduled appointments or last-minute rides, you can call anytime for a fully licensed, bonded, insured driver dispatched to your location quickly at a reasonable rate. 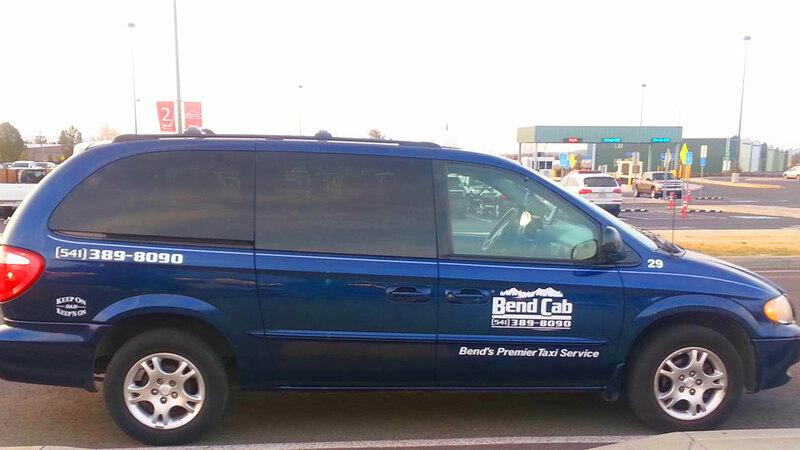 Bend Cab Company is Central Oregon’s only cab company with central dispatch and fast, reliable service to and from the Redmond Airport. You can even hire them to get your car returned safely to your home or to meet you for a battery jump if your car won’t start. Bend Cab Company also offers experienced courier services, no matter what you need to have delivered. They handle large courier accounts like DHL, UPS, FEDEX, and Medical Staff, and can also deliver groceries, postal orders, signed contracts, paperwork and more. Discounts on services are offered to seniors, military and hospital workers.